Dee Patterson, is available by appointment for Psychic Readings, Medium, Spiritual Counseling, Medical Intuition and Past Life Regressions. She is a well-known and highly respected professional psychic who has an active practice in Louisville, Kentucky. 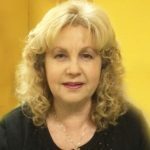 She is on the recommended psychic list at the Association for Research and Enlightenment, The Edgar Cayce Foundation in Virginia Beach, Va.
Dee has clients throughout the United States and many foreign countries, and has read for over 3500 people since 1988, many of whom consult her on a regular basis. Utilizing her psychic ability and counseling skills, Dee reads the past, present and future, and offers guidance to individuals who consult her for many situations where help is needed such as career, relationship, health, family issues and contacting departed love ones. As a Medium, she has helped countless individuals make contact with their deceased loved ones, giving them comfort and relief, knowing that they are at peace. She offers ongoing Meditation Classes and is a featured speaker at the Astrological Society of Kentucky. In addition, she has also made a combination of over 2500 astrological predictions and psychic predictions. For her annual predictions go to Predictions. Predicting World events since 1994 through today.